Spelling programs come and go but in this Spellquizzer review I'm going to explain how this nifty little program can enhance any spelling program. First off, Spellquizzer is a stand alone program that you can access any time from your desktop. You can type in any set of spelling words that your child is working on or use the sample lists that are provided. When your child spells a word correctly, the program takes them to the next word. When they spell a word incorrectly, the program shows them how they spelled it and how it "should" be spelled. Then at the end of the quiz they are given the words that were misspelled again so that they can correct them. This is a great feature of the program, in my opinion. Most tests that they take on paper don't allow for this or if they do it causes all kinds of attitude problems for the child. Who wants to rewrite a word they just got wrong? 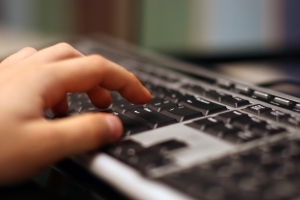 With Spellquizzer it becomes fun to retype the word correctly to make it right. You can even use this program to test your children on words that they need to work on. You just make your list, title it, and enter it into the program. If you belong to a coop or homeschool group where you all use the same spelling words, you can import those words into this system too. I've mentioned already that this can be used with any spelling program, but this point bears repeating. You can create custom word lists for any spelling or vocabulary program you are using. They can do their regular workbook and then use this program to give them their final test or they can just get quizzed on the words each day and possibly not even need to use the spelling workbook. It's all up to the parent as to how frequently the student uses it. Word lists are easy to find all over the Internet. After using this program for a while you might find that you don't need to buy a spelling program and that you can just enter free word lists into Spellquizzer and have your child take the quiz each day. The only drawback to Spellquizzer that I see that I need to mention is that the program is most effective when you use a microphone or webcam or something that will capture your voice. You will enter the spelling words and record your voice for each word. It's a pretty fast process, but if you have an old computer or you don't have a microphone built into your computer, then you will either need to purchase one (about $10) and learn how to use it or use the "reminder phrase" or definition as the prompt for your child to enter a word. This is really the only negative part of this program, but I thought I needed to mention it. You can still get the trial version for 30 days and see how it works and then decide whether you want the microphone or not. It only takes about 5 minutes to go through a spelling quiz unless you give your children a huge list. My 9 year old son has enjoyed this program. He loves doing anything on the computer plus it only takes him a few minutes to complete this task. Even though it is fast, Spellquizzer is still very effective. You might find that your child learns their spelling words even better than they did with any other program or workbook. 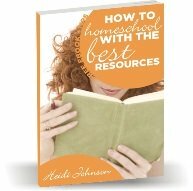 They have a page set up just for homeschoolers that helps to explain how you can use this program most effectively. It's called Spelling Software for Homeschoolers. At $29.95 Spellquizzer is an awesome deal. This program can be used for multiple children for multiple years. You can't get any better than that! Plus it comes with a 100% satisfaction guarantee. If you use the program and find that you really don't like it or that it doesn't work for your children, you can get your money back. You can even get a free 30 day trial and try it before you buy it.